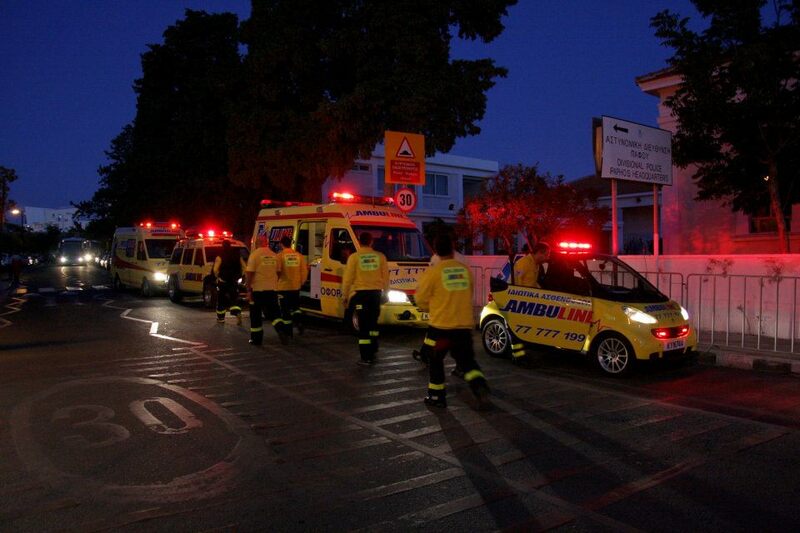 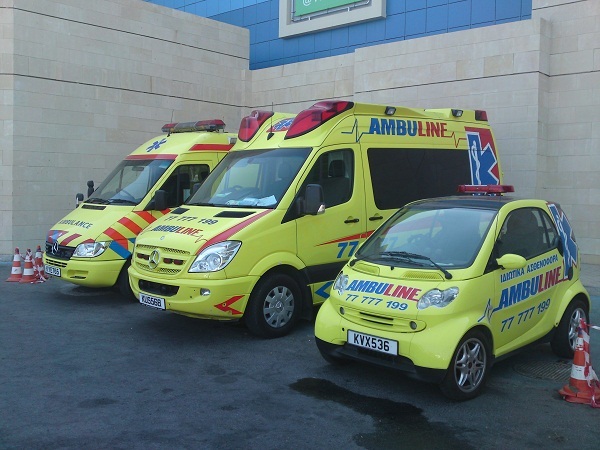 -> 2 First responder cars. 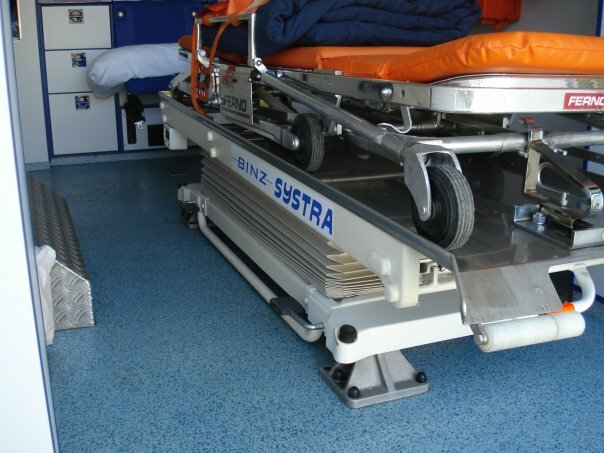 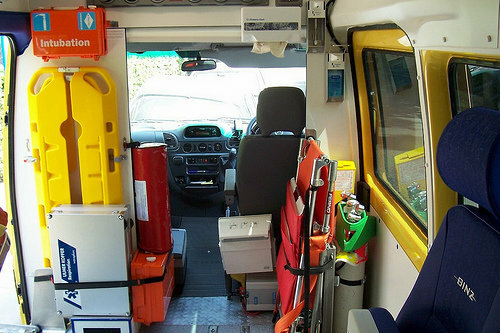 Our ambulances are all fully equipped with all the necessary, latest technology medical equipment: hydraulic table stretcher with air suspension, monitors, manual defibrillators, AED defibrillators, airway equipment, ventilators, cardiograph, electric and manual suction units, scoop stretchers, portable stretcher, oxygen stable system, portable oxygen, syringe pump, incubators, pulse oximeter, nebulizer, fire extinguisher, vacuum mattress, vacuum splint fracture, spinal boards, wheelchairs, spare folding stretcher, splint traction, resuscitation masks, emergency first aid bags, head immobilizers, cervical collars, ambu bags, sterile gloves, rescue and extricate equipment. 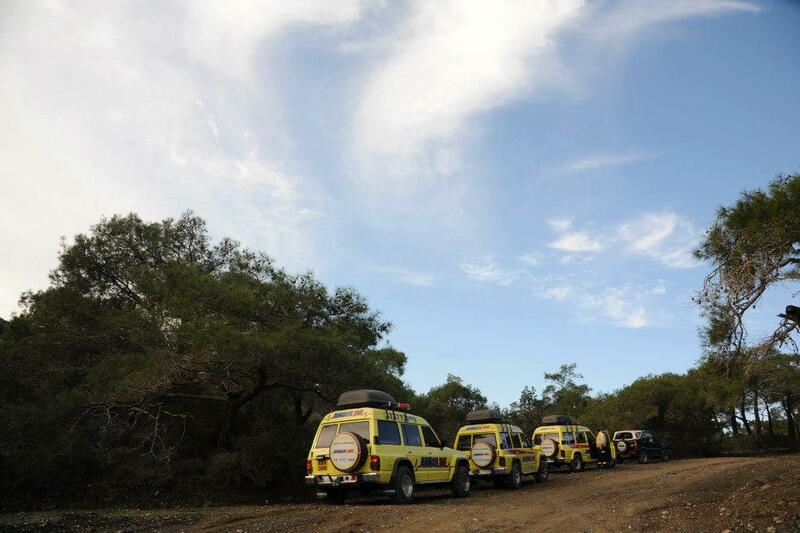 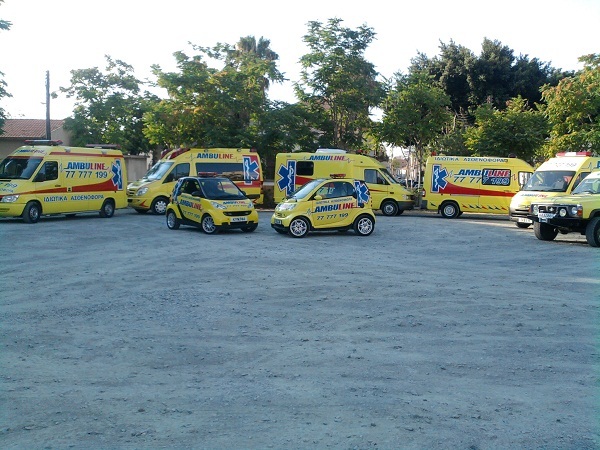 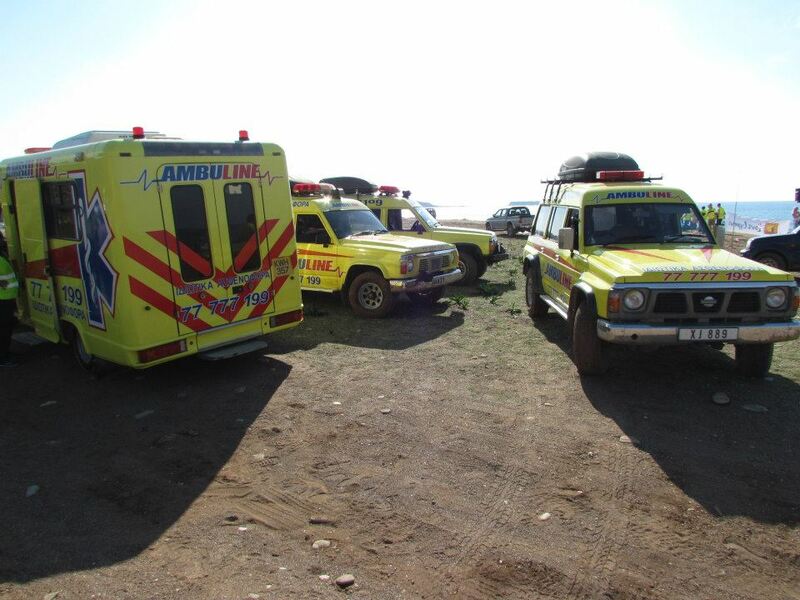 Our fleet is dynamically tested and certified to CEN 1789/2000 Standard and fitted with air conditioning for patient comfort. 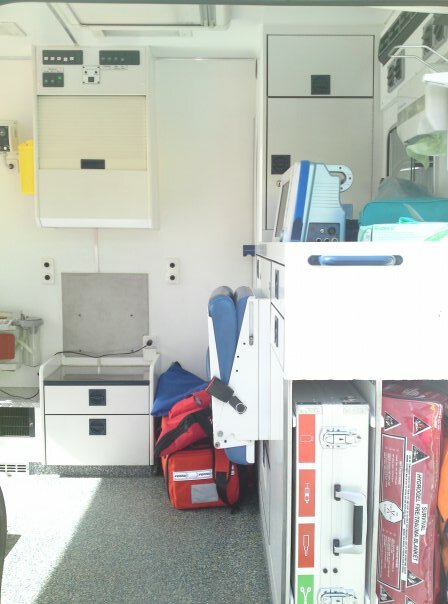 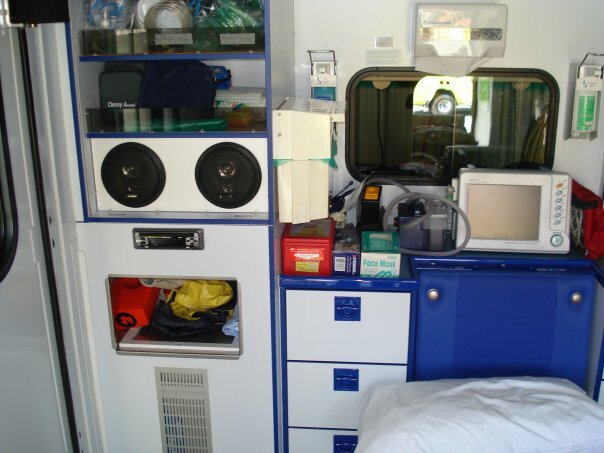 Moreover, all intensive care mobile ambulance units are fitted with air-suspension allowing a smooth and comfortable journey, especially over longer distances. 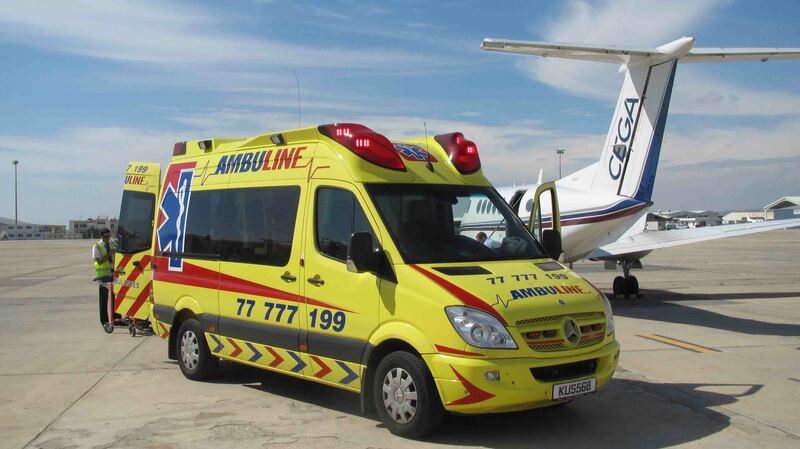 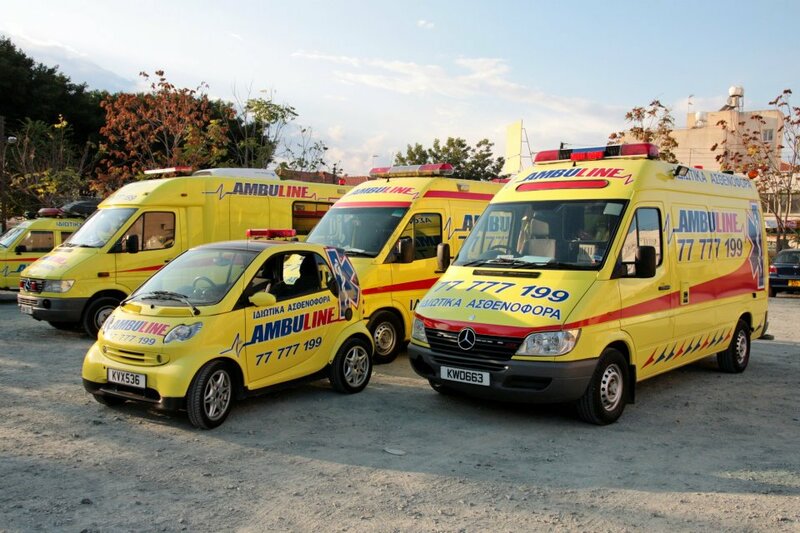 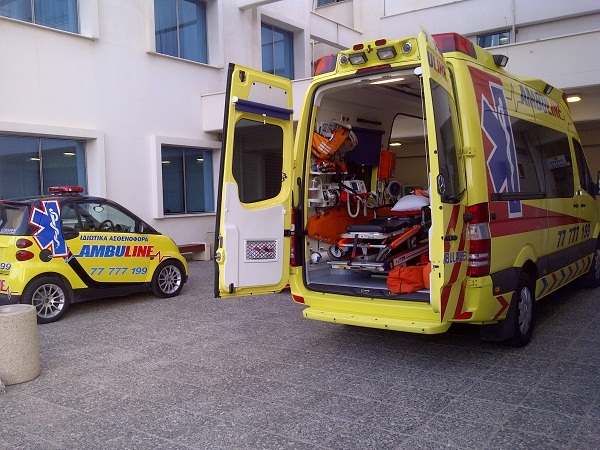 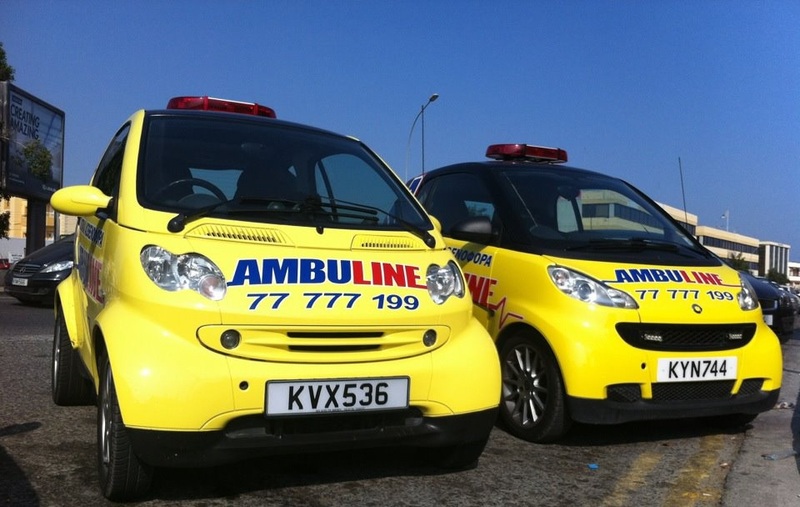 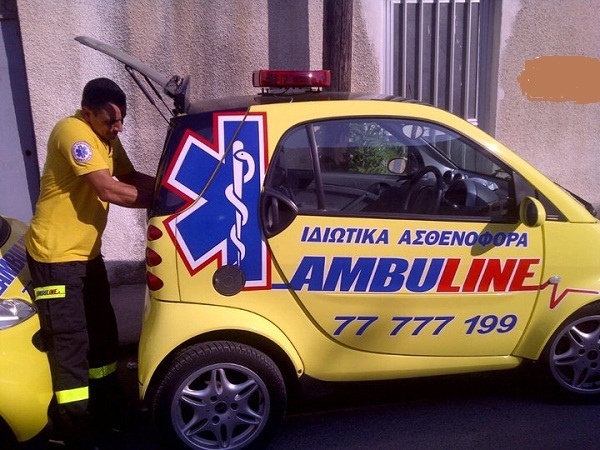 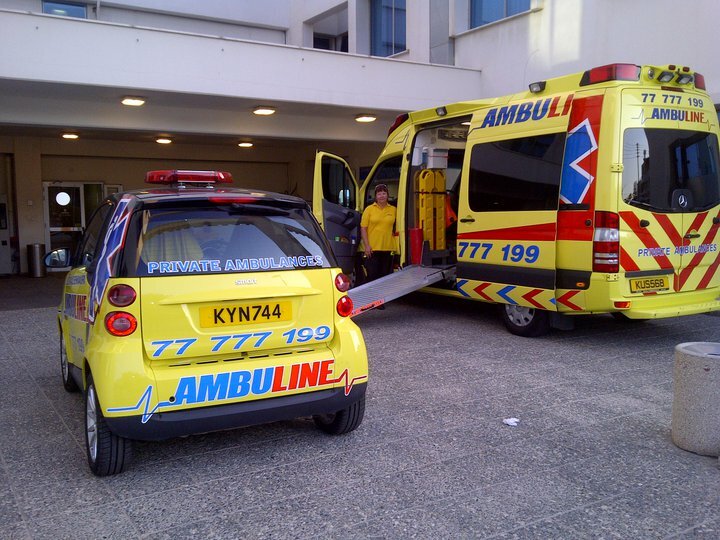 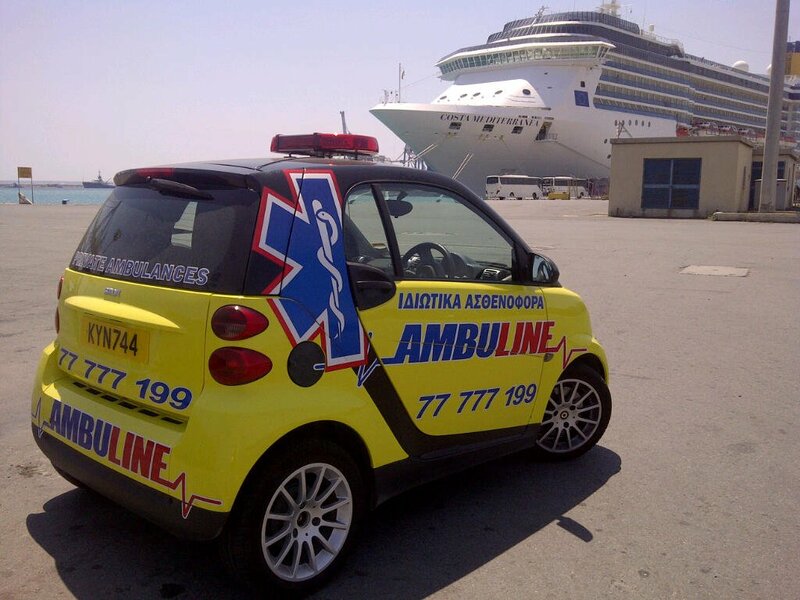 AMBULINE’s ambulances are designed and built in Europe to our own unique and exacting specifications and are stocked with the newest and most well-maintained equipment to assist us in transporting patients safely. 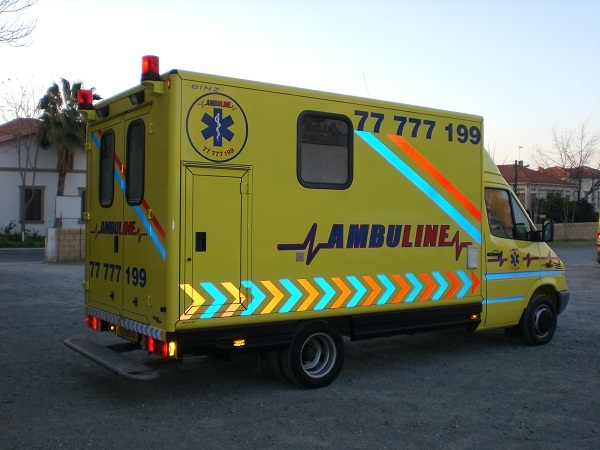 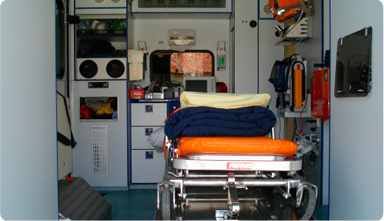 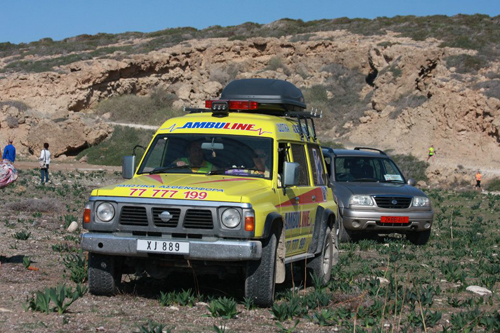 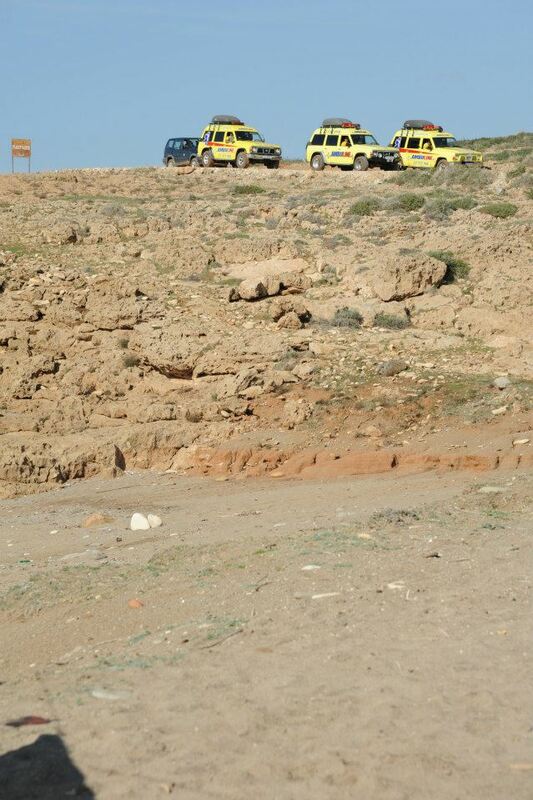 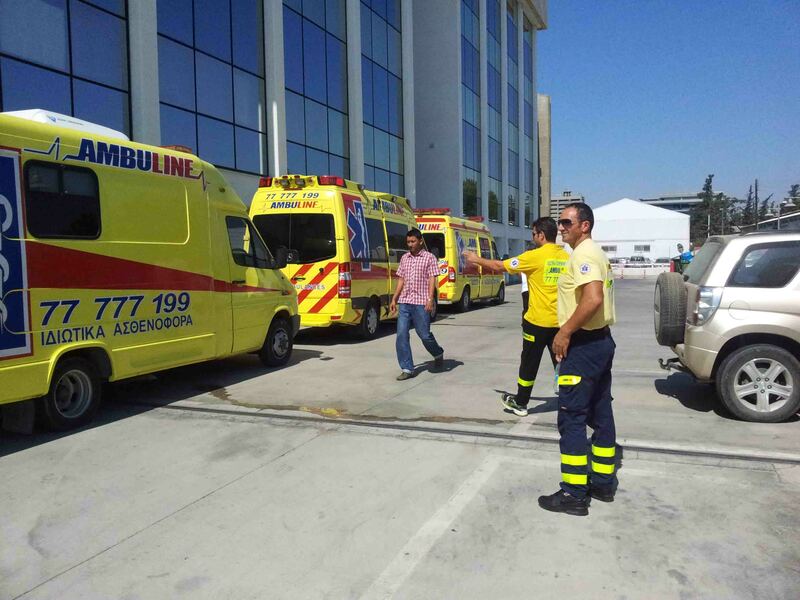 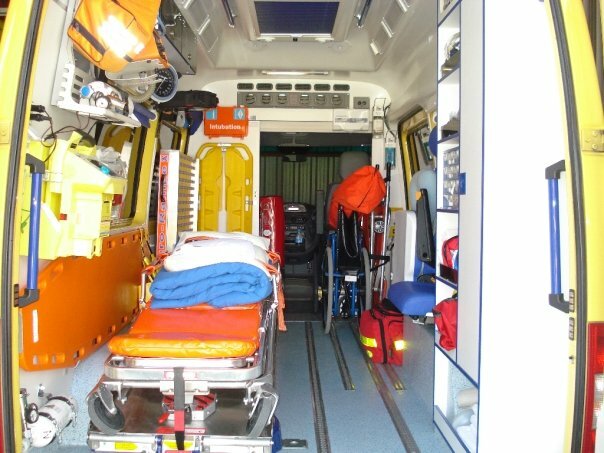 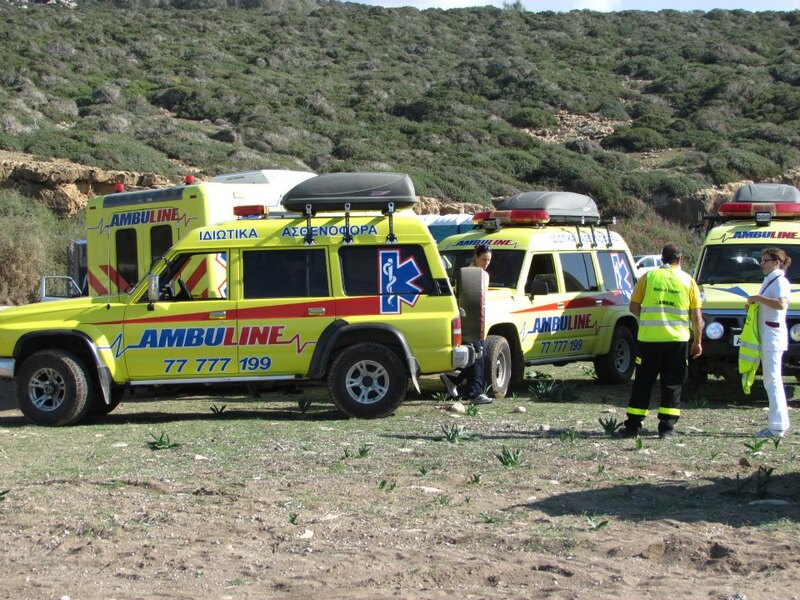 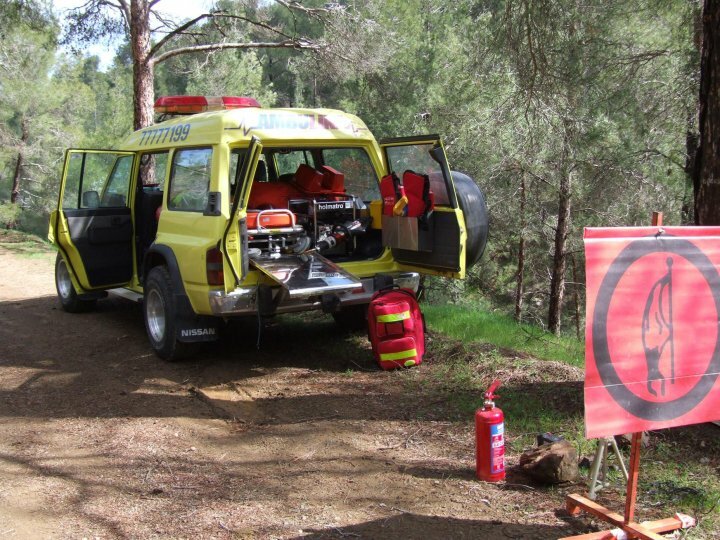 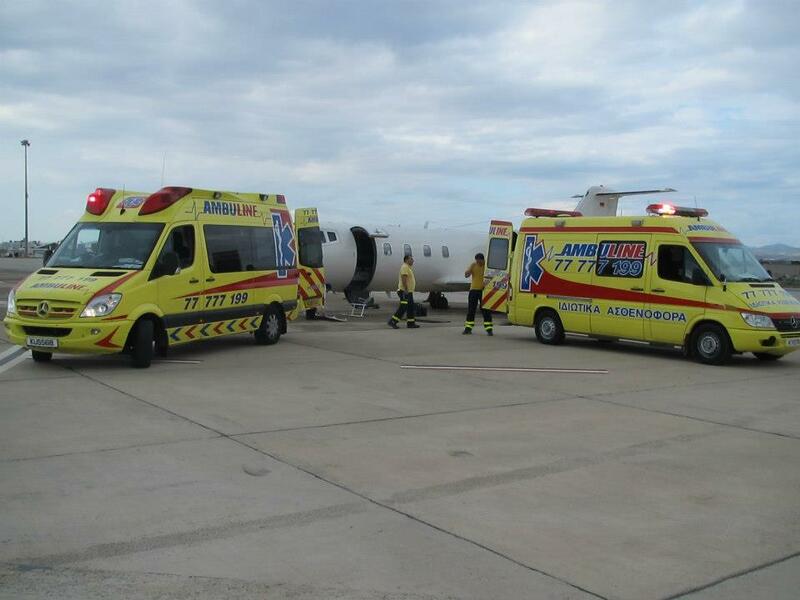 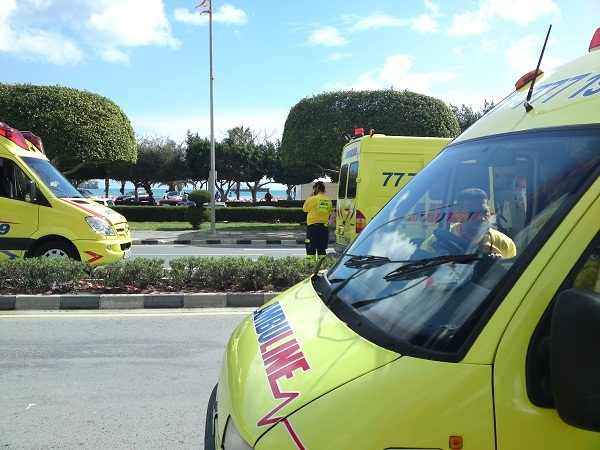 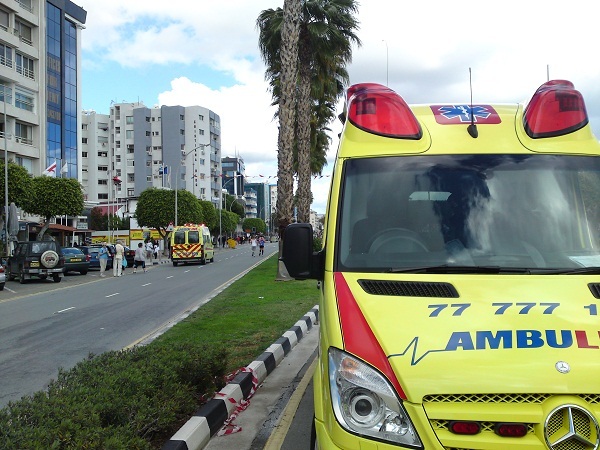 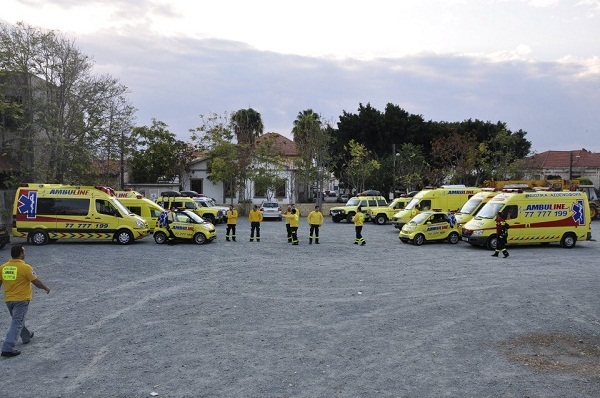 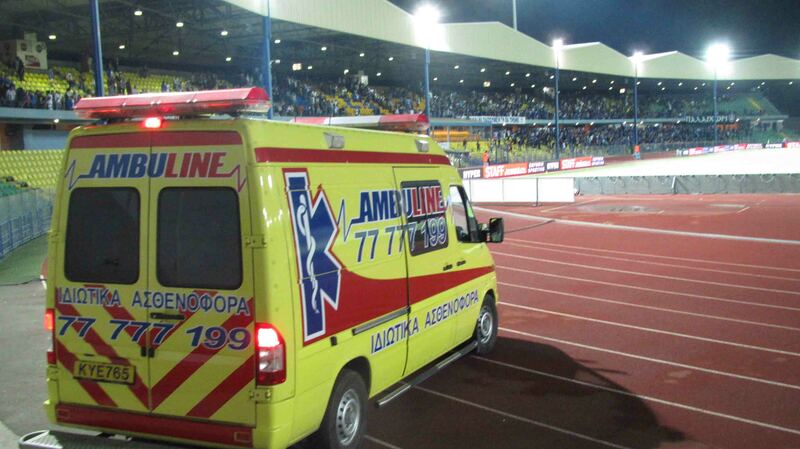 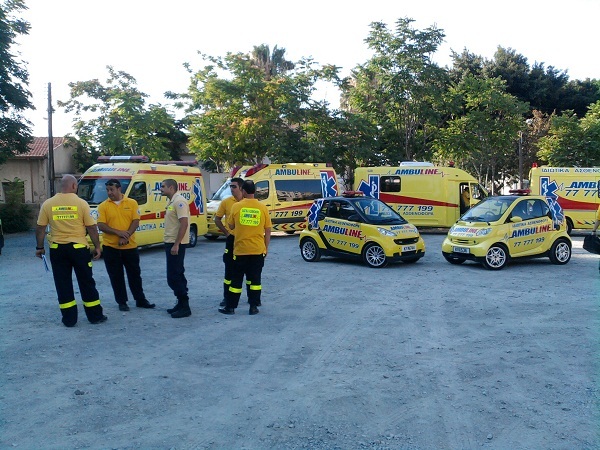 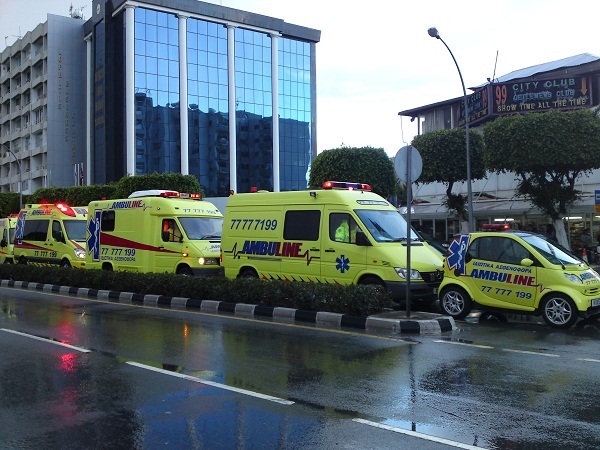 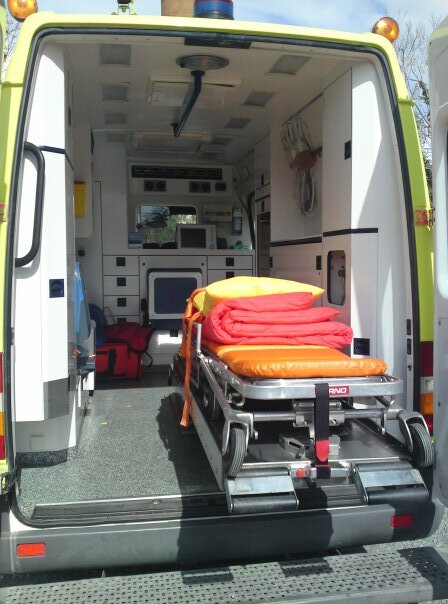 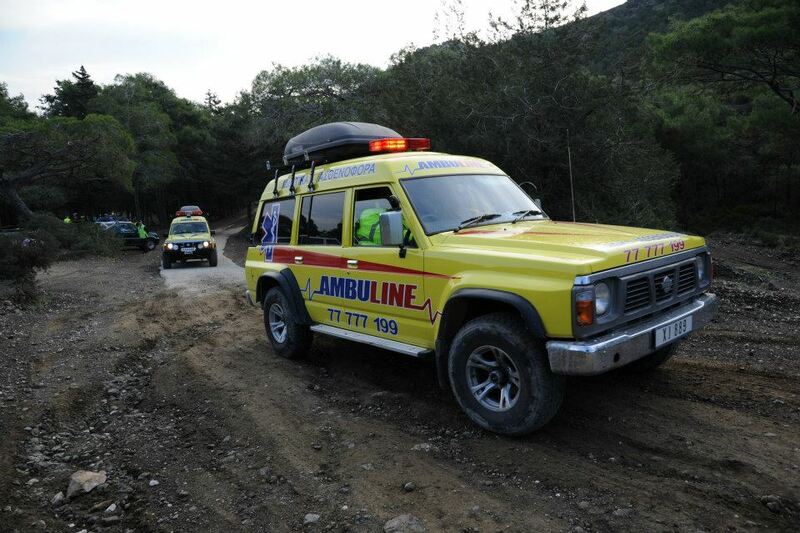 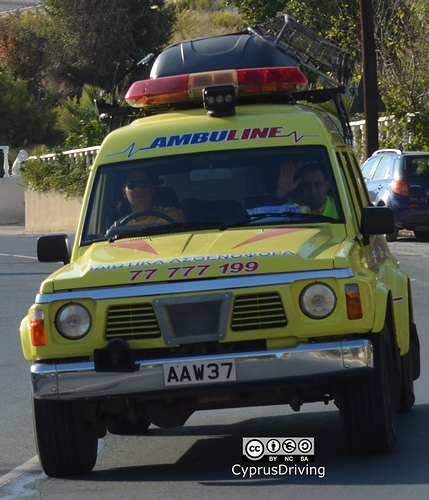 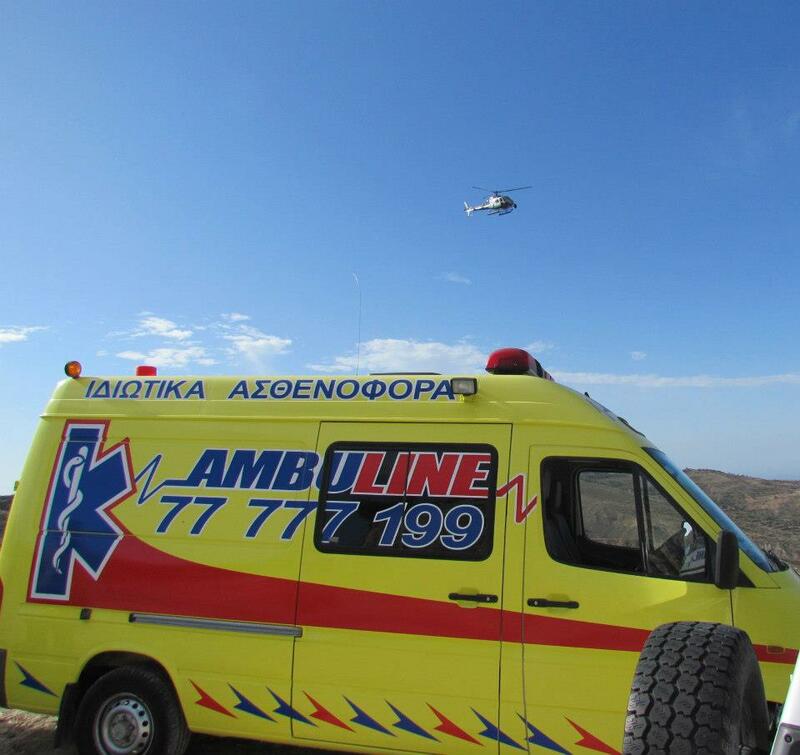 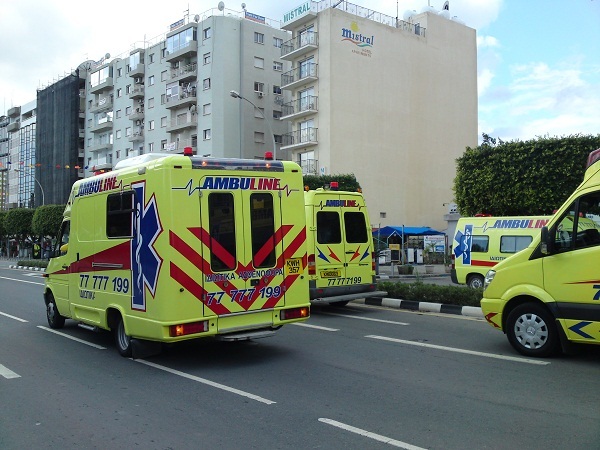 Our ambulances are approved by the Ministry of Health and we take every care to ensure that we are compliant with the European Legislation applicable to the private ambulance services sector.